Combine the beef with the marinade ingredients and mix well. 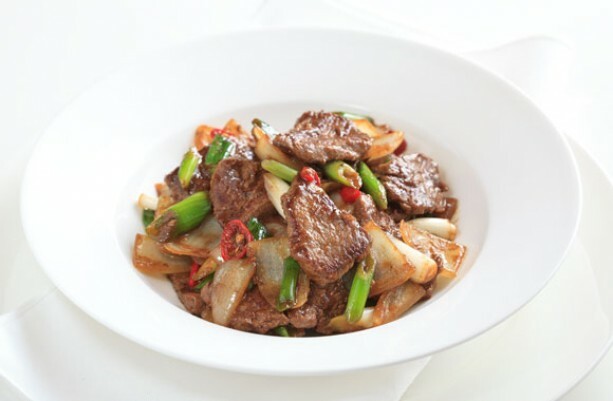 Heat the oil in a wok to 180°C and fry the sliced beef for 1 min, remove and drain. Remove all but two tbsp of the oil from the wok and stir-fry the ginger and garlic for 30 secs. Add the chillies and cumin, and cook for 30 secs. Add the onions and stir fry for 1 min. Add the beef and toss well, then combine in the spring onions, sesame oil and serve.